Toasting the outgoing class? 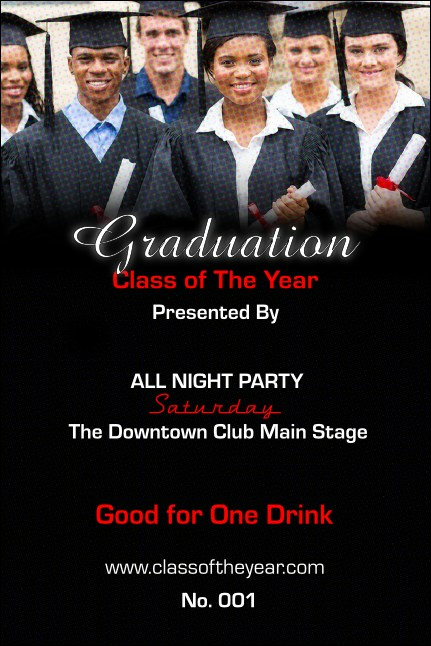 Give them drinks on the house with Graduation Drink Tickets! Newly graduated students gather in its background while timeless typeface presents voucher details. This modern design has matching event tickets, posters, postcards, and more! Dimensions approximately 2.71" x 4.14"
Treat VIPs with refreshments! Find the perfect drink ticket for your event on TicketPrinting.com.